Back in November, MaRS released a Market Insights paper titled “Digging in to Bio-Based Innovation” and held a MaRS Market Insights event with speakers from Elementa Group, Greenfield Specialty Alcohols, Canadian Renewable Fuels Association, Investeco and MaRS Cleantech Fund. You can watch a full recording of the event here. We also took the time to ask these bioenergy, biochemical and investment experts some questions after the event, including: What are the opportunities for bioenergy and biochemicals in Ontario? And what two pieces of advice would you give to emerging entrepreneurs? According to REN21’s “Renewables 2013 Global Status Report,” in 2012 global use of biomass for heat, power and transport increased 2 to 3% from the previous year to approximately 55 exajoules. More specifically, modern biomass heat capacity increased from about 3 gigawatts thermal (GWth) to an estimated 293 GWth, while bio-power capacity increased 12% to nearly 83 gigawatts and about 350 terrawatt hours of electricity was generated. In terms of transport, liquid biofuels comprised about 3.4% of global road transport fuels. 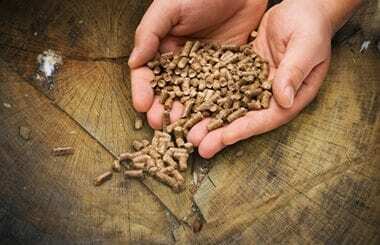 Further, global wood pellet production and transport exceeded 22 million tonnes and about 8.2 million tonnes of pellets were traded internationally. There are great opportunities for Canadian entrepreneurs to satisfy this global market. As noted in the report, in addition to the tremendous opportunities in bioenergy described above, there are also great opportunities for bio-based chemicals and materials. Ontario has the natural resources required for biomass feedstock. Ontario can grow, harvest and process biomass feedstock (agricultural, forestry and waste) locally. However, feedstock is not free, even if it comes from waste streams or residues from sawmill operations, so startups must take into account the costs associated with growing, harvesting, collecting and transporting feedstock. All interviewees recommended partnerships as a strategy for startups in this space. One strategy involves using the first generation fuels/chemicals platform to develop relationships with market players that have an established footprint here. Technology developers with a good handle on feedstock prices and their technology costs could partner with larger strategic players that could add value to their company. Shirley Speakman, investment director with MaRS Investment Accelerator Fund, made a great point: “Did they [the startup] have relationships in market with people who will help pull the technology through? If you have people who will pull the technology with you and help develop the technology with you, this this will greatly increase your chances of success,” she said. Bob Gallant, president and CEO of Greenfield Specialty Alcohols, had additional advice around patience. Startups must be patient. Companies that aim to go directly from lab scale to commercial scale are doomed to fail, he explained. It’s a long process, but you have to follow several small steps to get to a meaningful place. If the technology is worthwhile, a company can collect resources and capital through each of those steps: from lab scale to pilot to commercial demonstration to full commercial facilities. Check out the event video and report for more information on the opportunities for bioenergy and biochemicals innovations in Ontario, as well as for insights on how to overcome common challenges in this space.